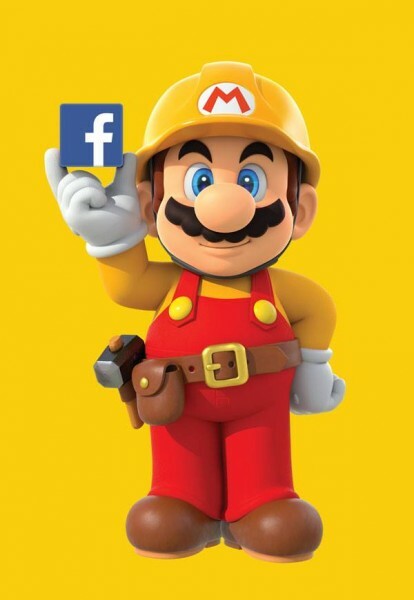 "Nintendo hosts a contest, where the winner gets their stage as DLC"
Nintendo will be bringing Super Mario Maker to Facebook’s headquarters next week, and perhaps one employee’s custom stage will be added to the game for players to download. On July 28th and 29th, Nintendo will host Facebook’s “Hackathon” event at their headquarters. The Hackathon is an event that allows employees to create something that interests them during company time, and this special Nintendo one will have employees creating stages in the E3 build of Super Mario Maker. The winner of the event has the opportunity to have their level added to the game post-launch. Granted, EVERYONE can do that in Super Mario Maker since everyone’s stage can be uploaded for all to download, but the winner will have their staged pushed onto everyone’s consoles via Nintendo. Nintendo will tape and show off the events in a series of videos that will be uploaded soon after. The game will release on September 11th worldwide, and Europe will see a Wii U console bundle and an LE that comes with the 30th anniversary Mario amiibo figure. The figure will release alongside the game worldwide as well, but it’s unknown what options they’ll deliver it.